This is an excerpt from the cover feature of Unwinnable Monthly #108. If you like what you see, grab the magazine for less than ten dollars, or subscribe and get all future magazines for half price. Heaven’s Vault does what very few other games do: It turns learning a language into an actual game mechanic. I should elaborate on that statement: Heaven’s Vault turns philology and archaeology into a game mechanic. 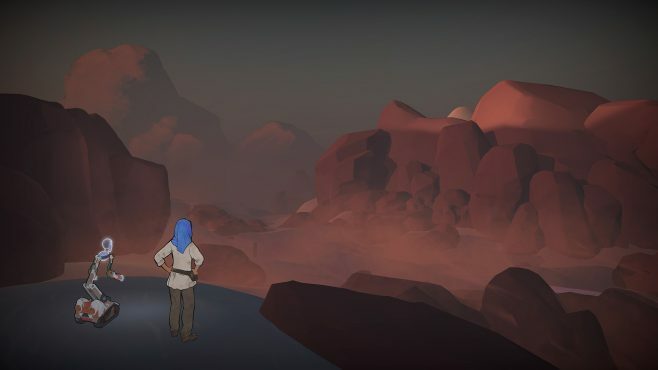 The game revolves around Aliya Elasra, a scholar who is tasked with analyzing the buildings, objects and writings of a civilization that has disappeared. She visits different moons connected by celestial ‘rivers,’ together with her robot companion Six, and explores the sites, all the while refining – in effect, writing – the history of the people she is studying. Here is the great part: We as players act as companions in this process of discovery. We guide Aliya to particular places, and when she finds an object or an inscription, we guide her thought process. She’s seen this particular glyph before, in another building. It could mean ‘garden’, or ‘palace’, or ‘temple’ perhaps? Some kind of walled enclosure. What do we think? We go with ‘garden’ for now. Going forward, Aliya’s hypothesis is that this glyph means ‘garden’. Hey, she thinks, if that’s true, then this inscription I saw earlier makes much more sense! She rewrites her history a tiny bit. 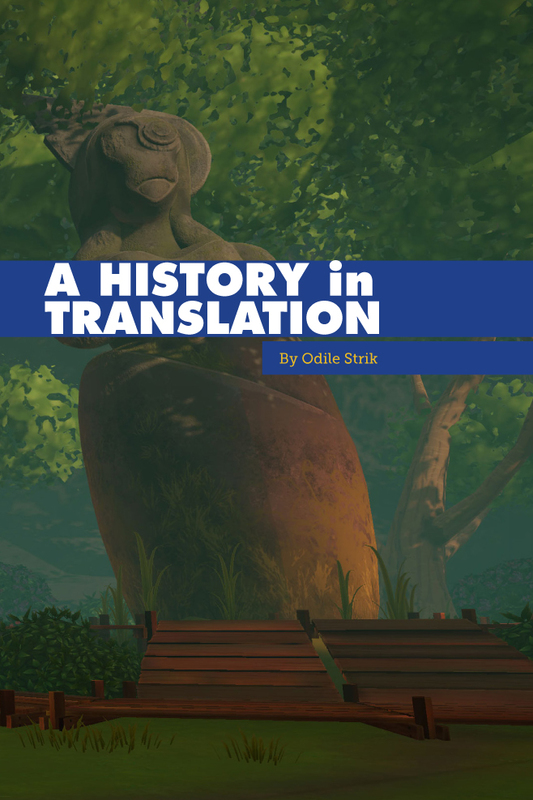 All inscriptions, objects and places that Aliya finds become part of a big timeline in her head: the game’s equivalent of a journal, a ‘lore codex’ and an inventory system all in one. Any new discovery or conjecture is seamlessly integrated into that timeline, often affecting related items at another location or time period. This is marvelous. Rarely do you see games engage with scholarly practice so lovingly. Dragon Age: Inquisition had a bit of that, particularly around the Tevinter archaeological site in Jaws of Hakkon, but it never became more than flavor. Heaven’s Vault, on the other hand, puts archaeology, history and xenolinguistics center stage. Odile Strik is editor-in-chief of The Ontological Geek. She is also a linguist from the Netherlands. You can read her innermost secrets on Twitter @oaostrik. 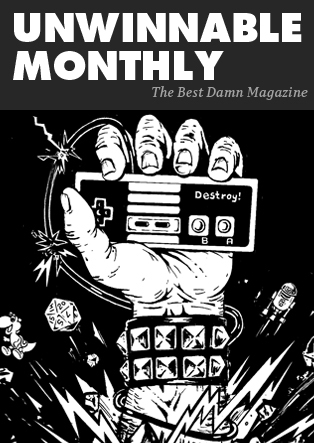 You’ve been reading an excerpt from Unwinnable Monthly Issue 108.